Promotional Classic Black Gradient Malibu Sunglasses are having ocean lenses and are made of polycarbonate material. The UV400 lenses of these custom sunglasses provide 100% UVA and UVB protection which is one major factor that will help your brand to create a good brand image right away. Color options such as Black with Orange, Blue, Green, Red, Purple, or yellow lenses help you to grab the attention of people effortlessly. Order these custom Malibu Sunglasses with an imprint space of 2" W x ¼" H at the earliest to grab our free digital proofs and free artwork design services. 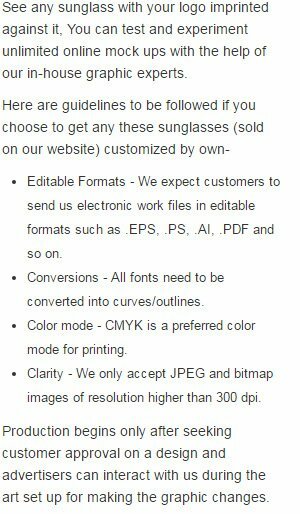 Request a quote to know savings that you can pocket on bulk ordering these Promotional Classic Black Gradient Malibu Sunglasses. Available Colors: Black with Blue, Green, Orange, Purple, Red, Yellow Lenses.